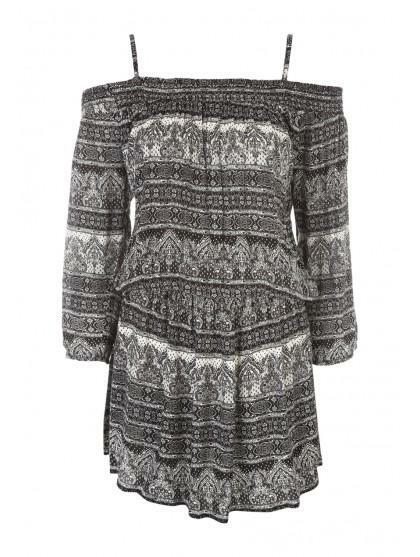 Give boring daytime dressing the cold shoulder with this women's black printed dress. 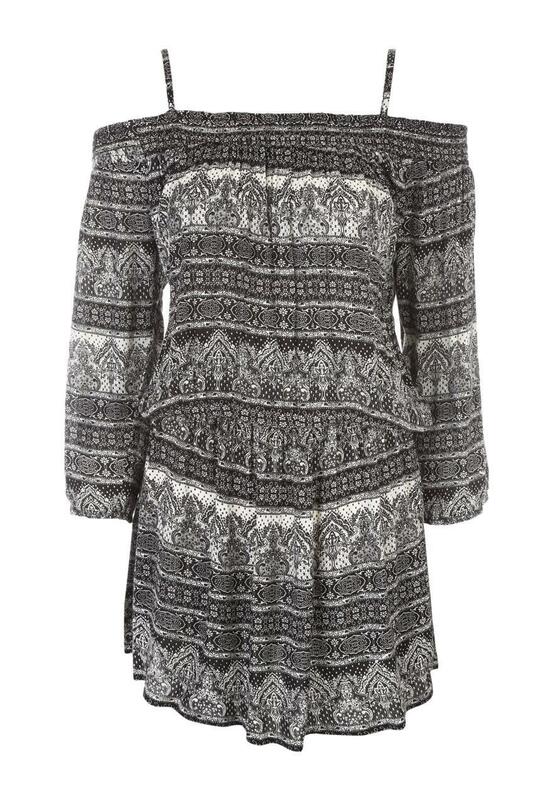 With an all over paisley print and full length sleeves, this dress is a stylish choice for summer days. The elastic around the shoulders that should sit comfortably was too taught, therefore didn't sit on shoulders very well at all.